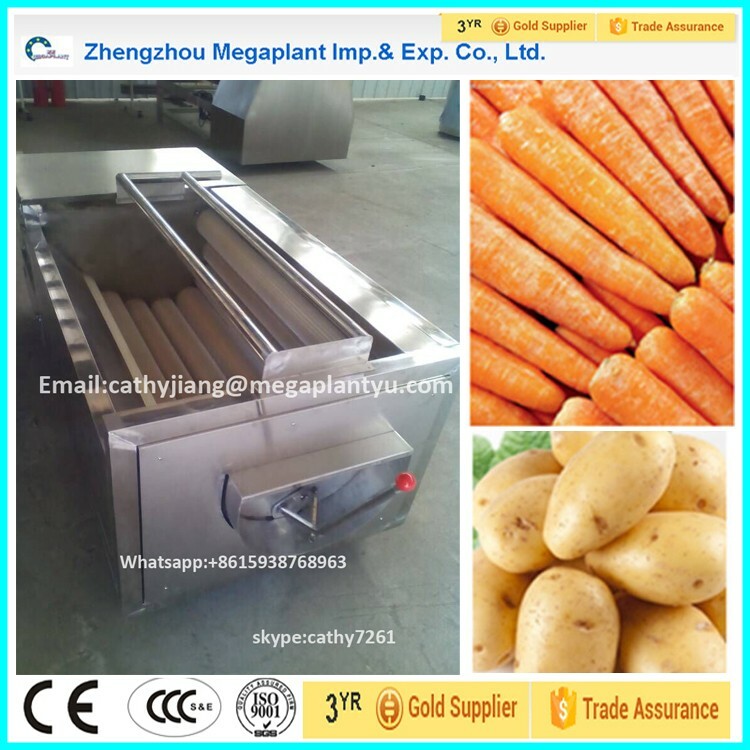 Buy Multi-function stainless steel brush washing carrot onion potato peeler machine for sale price - Jinan Joysun Machinery Co., Ltd.
root vegetables and fruits. 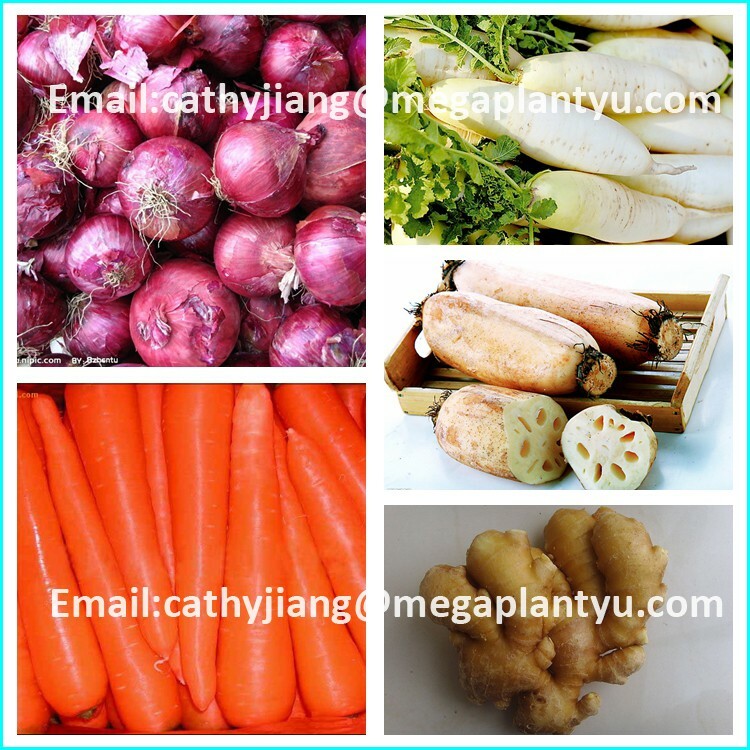 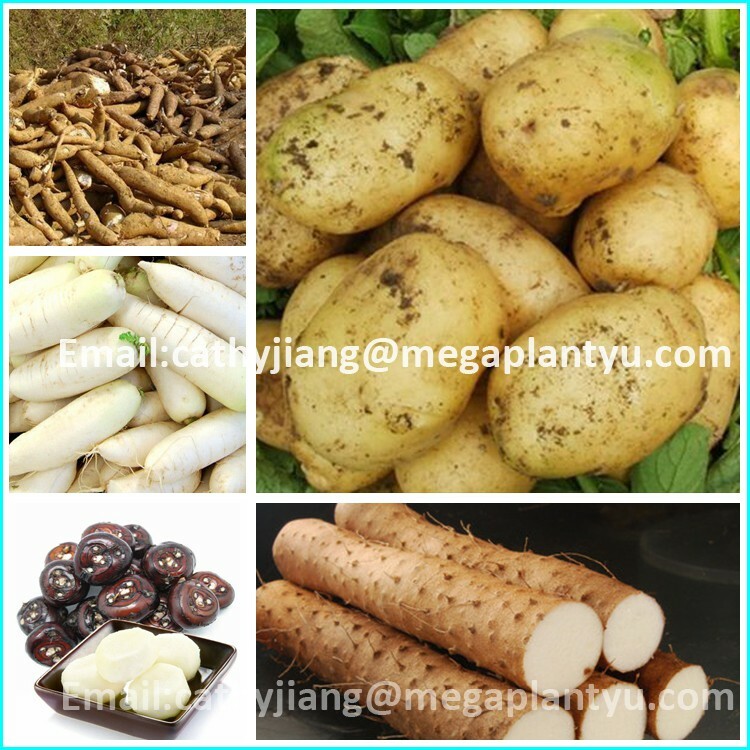 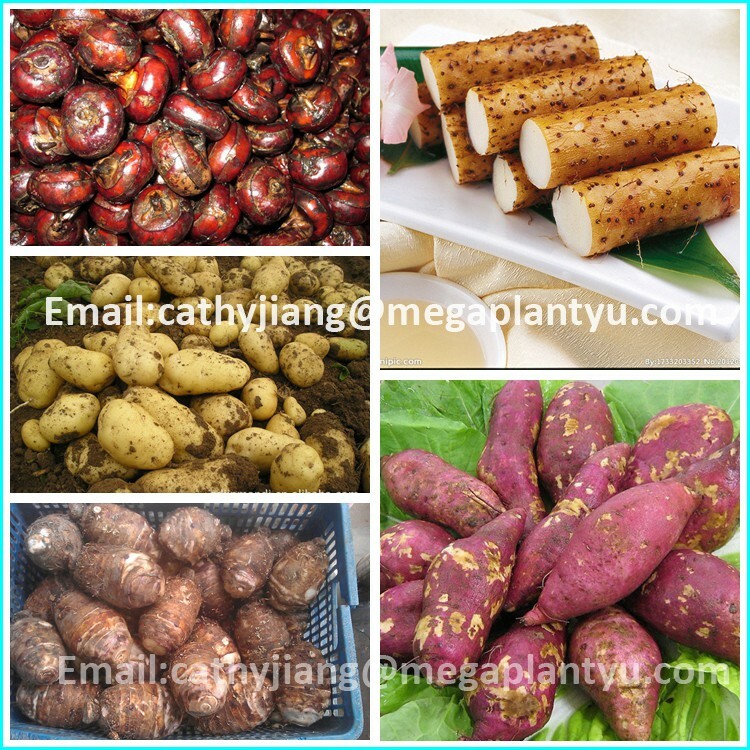 Such as potatos, carrot, sweet potato, ginger, radish, taro, kiwi fruit , cassava , root-stock materials , Areca Seed, Betel nutt etc. 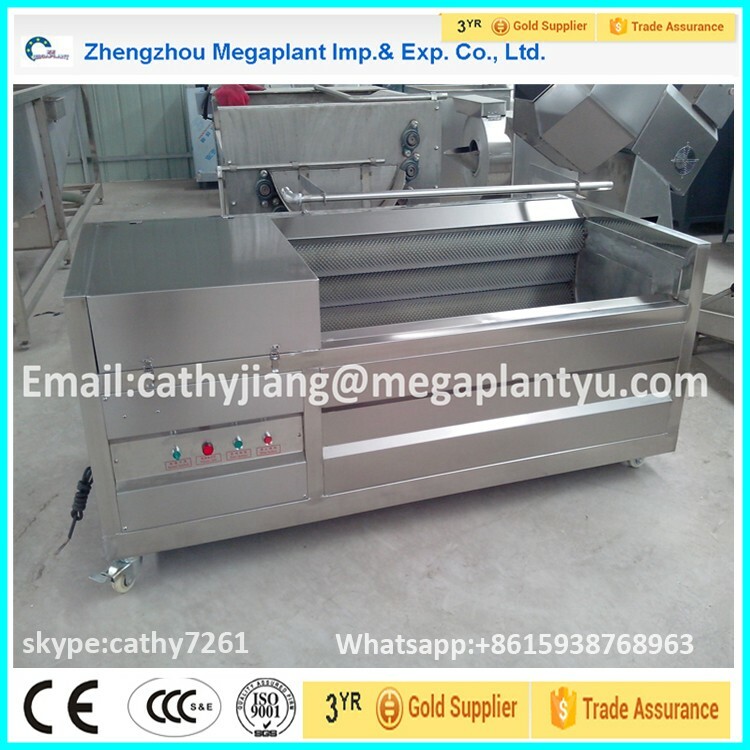 2) Potato peeling machine combined cleaning,washing,peeling. 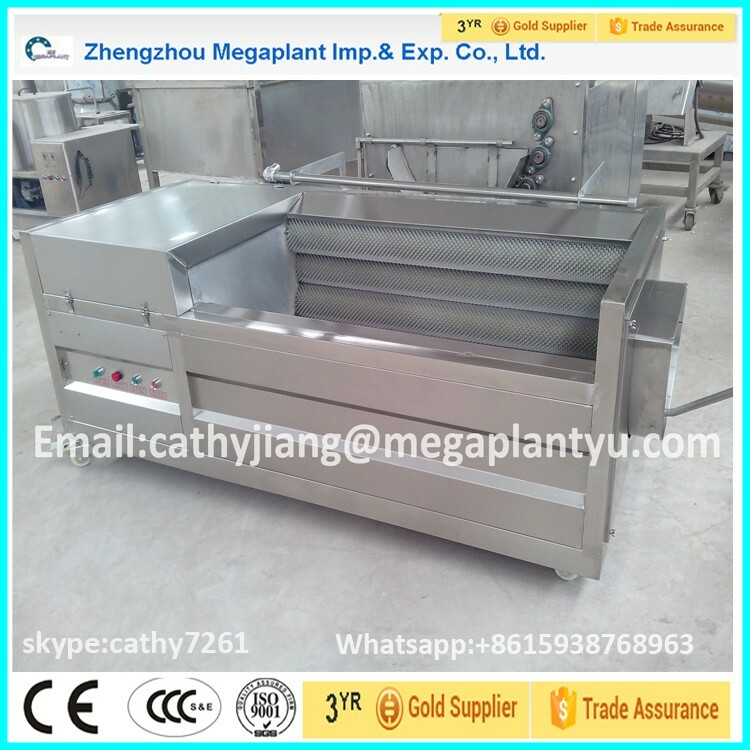 3) Large volume, High efficiency, steady work, low waste. 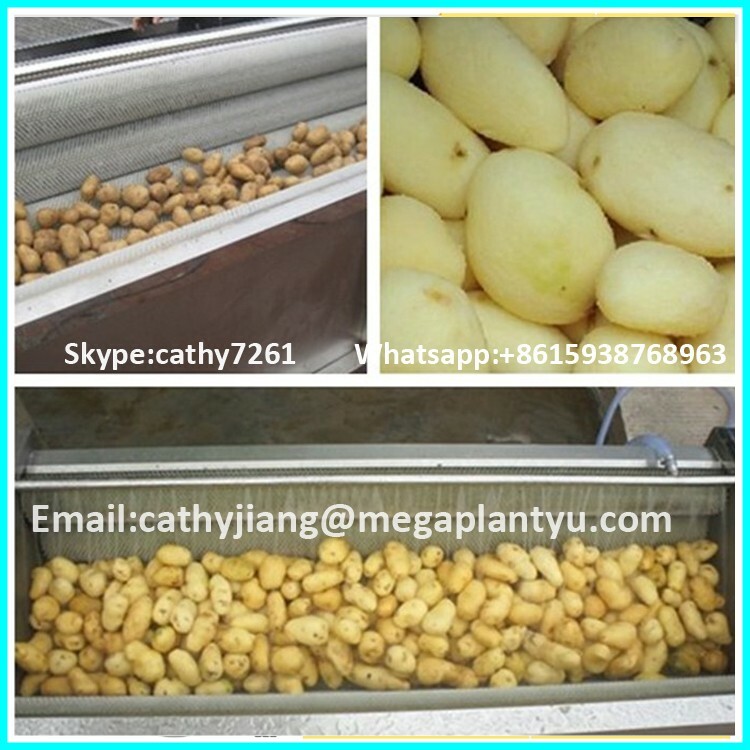 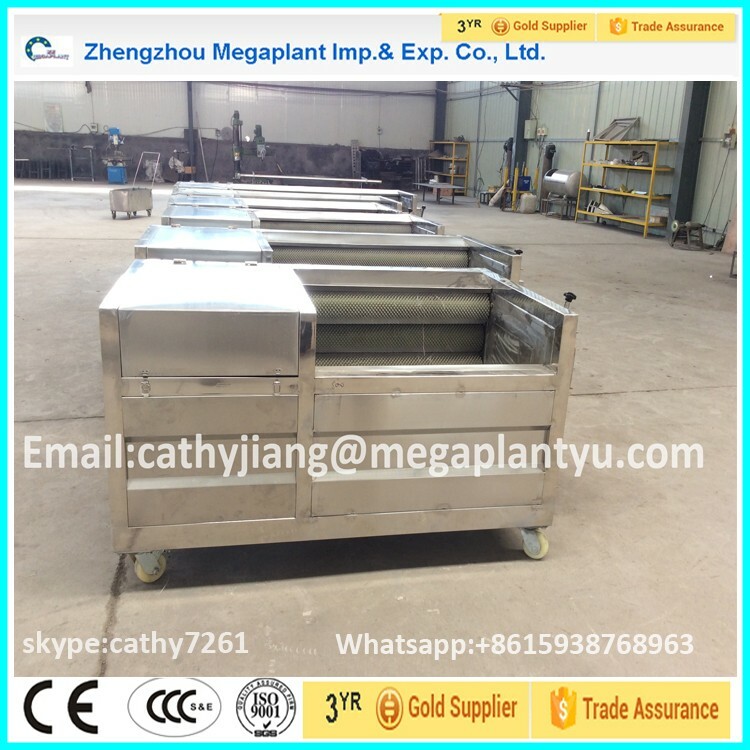 1.Large capacity with high ratio potatoes peeling machine with two functions of peeling and washing. 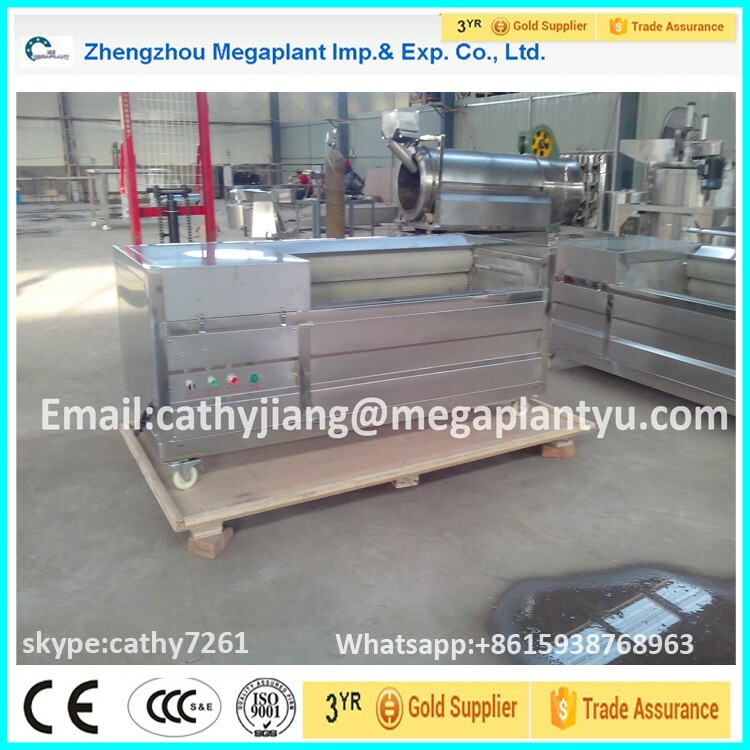 The peeling machines mainly composed of motor, speed changer, 8 to 15 porcupine roller.It adopts brushing principle.It can brush the goods in a short time as well as low breaking rate. 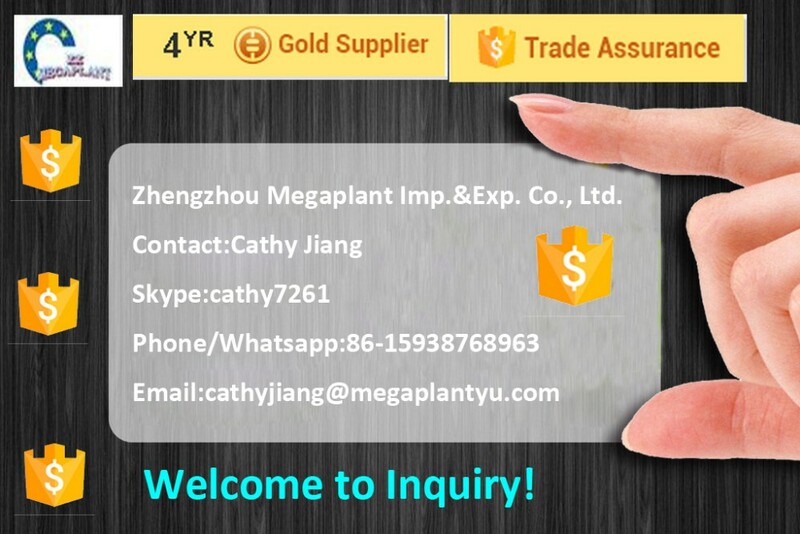 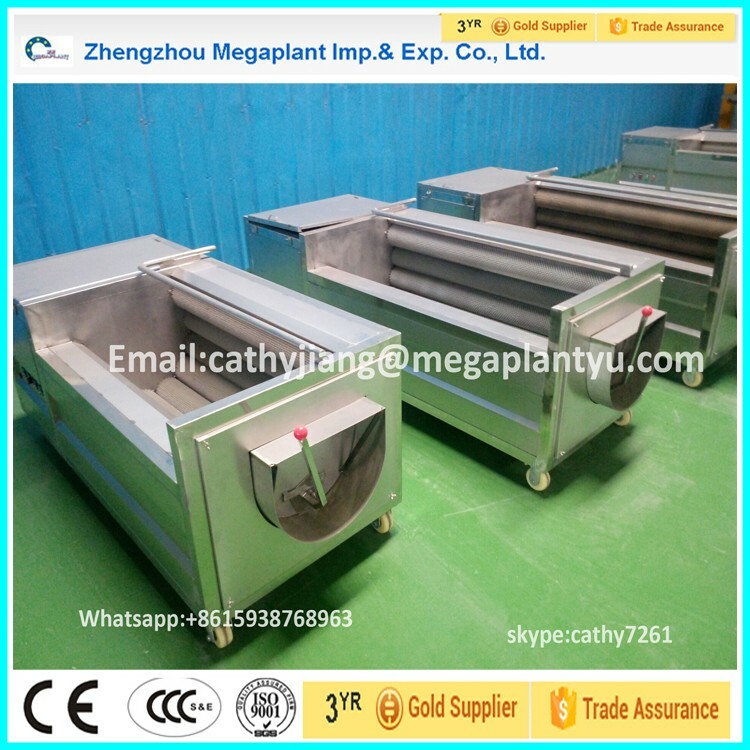 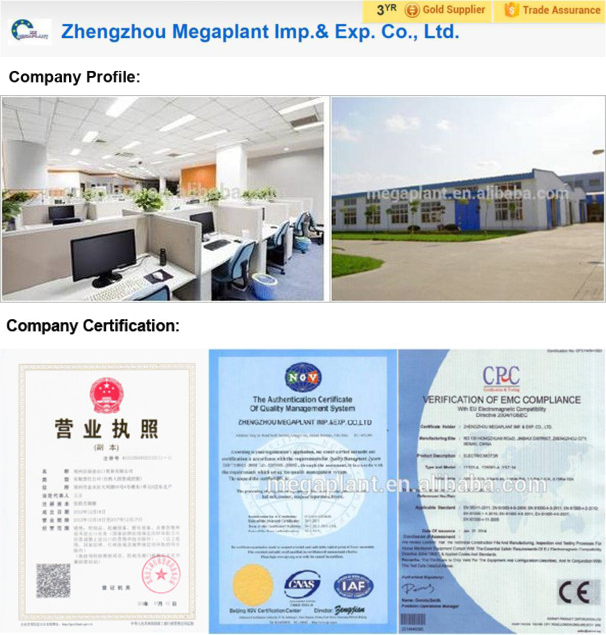 2.It is suitable for root vegetable and fruits, such as potato, sweet potato, radish, carrot, cassava, apple, kiwi fruit ,stem, sweet potato, ginger, radish, taro, root-stock materials , Areca Seed, Betel nut etc The machine applies to vegetable processing plant, fruit processing factory, restaurant etc..
3.The machine can continuously peel and wash. 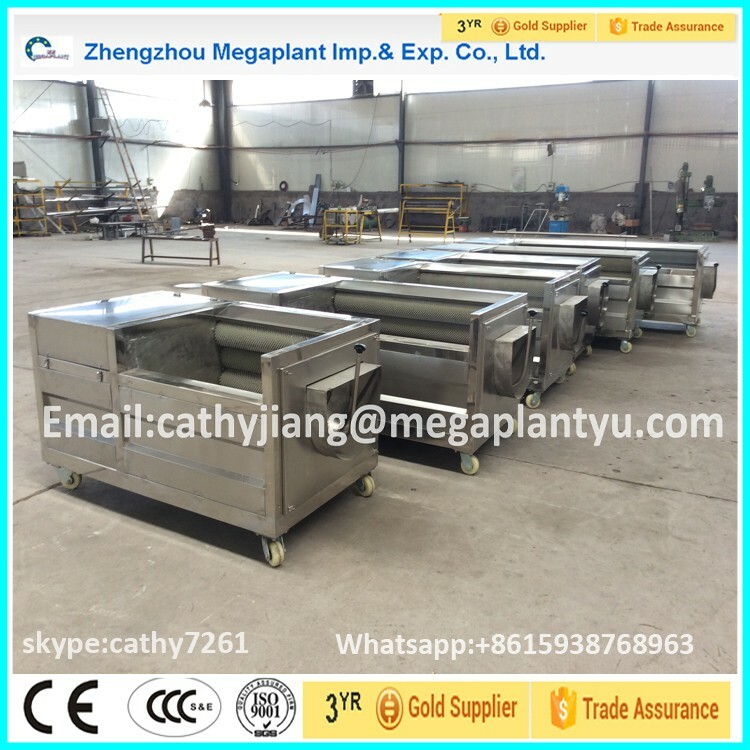 It can save water than before and without pollution.The machine is features of perfect appearance ,easy operation, high efficiency and low breaking rate and high peeling ratioIt is made up of stainless steel with long service life and durable structure.